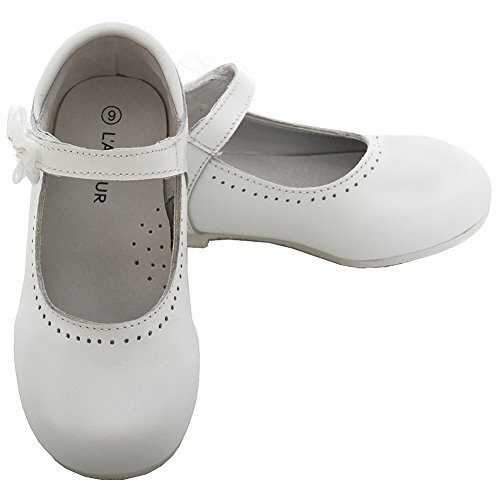 A sweet, white, leather, mary jane shoe for your little girl from L'Amour. This mary jane shoe is constructed of a white leather upper and a Velcro strap. A flower detail on the strap makes this selection, "Oh So Sweet"! A non slip, rubber sole keeps her on her feet. It's the perfect shoe for any formal occasion! 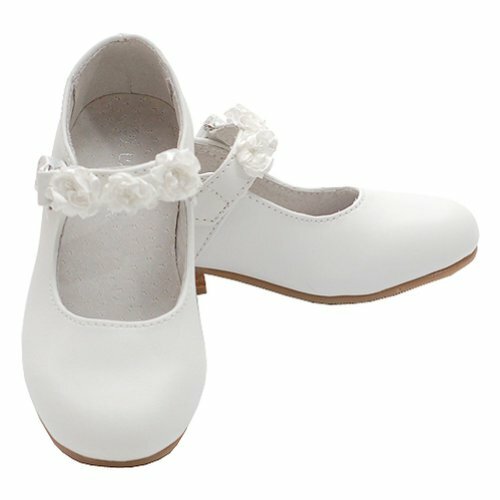 A sweet, white, leather, mary jane shoe for your toddler girl from L'Amour. 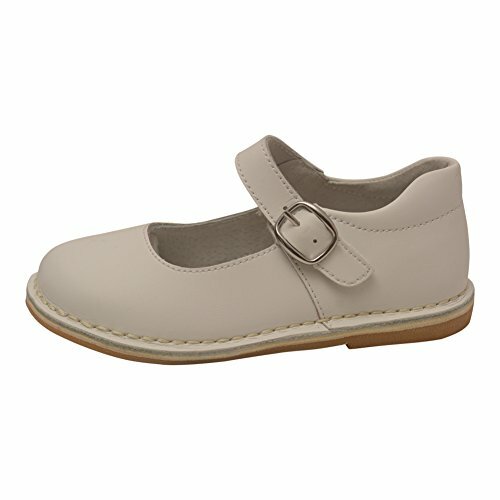 This mary jane shoe is constructed of a white leather upper and a Velcro strap. A flower detail on the strap makes this selection, "Oh So Sweet"! A non slip, rubber sole keeps her on her feet. It's the perfect shoe for any formal occasion! These L'Amour classic matte leather Mary Jane shoes are suitable for casual or formal wear. She can team these lovely shoes with her favorite outfits. 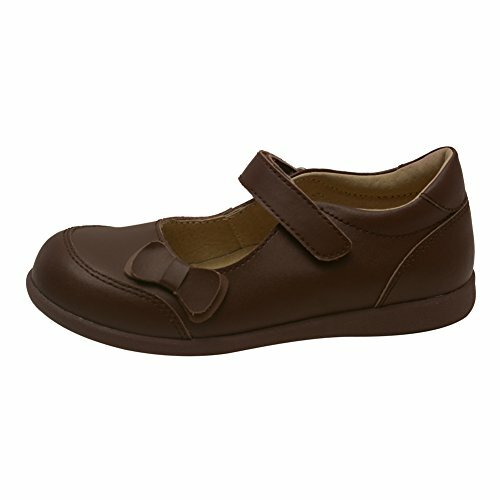 The brown shoe has leather upper and lining, stitch trim detail and Velcro buckle closure. The flexible rubber sole ensures comfort. A cute pair of shoes for your little girl. These shoe feature an adjustable buckle strap and cute flower pattern cutout in the toe. Great with any outfit. L'amour Shoes is a children's line of shoes which have quality products for boys and girls. L'amour shoes range from casual to dress featuring sandals, shoes, and boots for every occasion. These L'Amour classic matte leather Mary Jane shoes are suitable for casual or formal wear. She can team these lovely shoes with her favorite outfits. 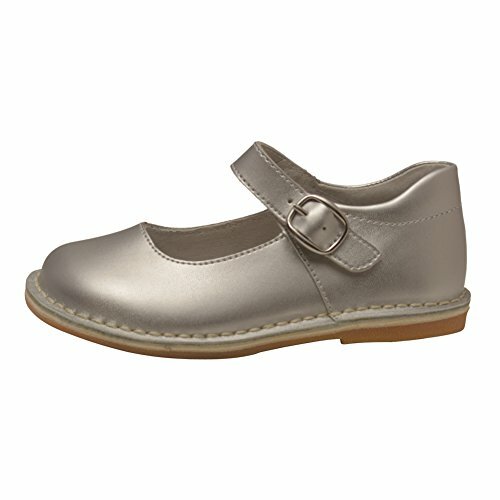 The silver shoe has leather upper and lining, stitch trim detail and Velcro buckle closure. The flexible rubber sole ensures comfort. Runs true to size. Available in many other colors as Red, Navy, Pink, Fuchsia, & Brown, each listed seperately. 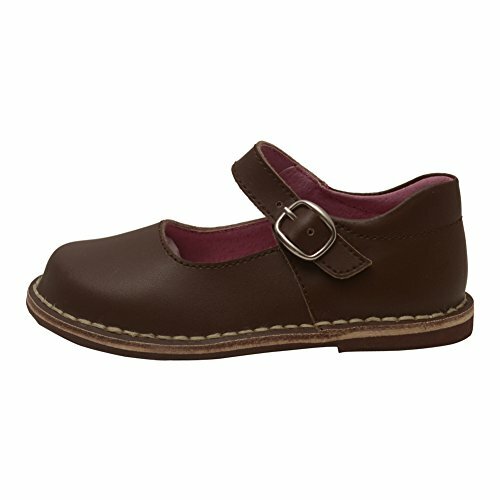 Leather T-strap shoe from L'Amour perfect choice for school, playtime fun and casual wear. 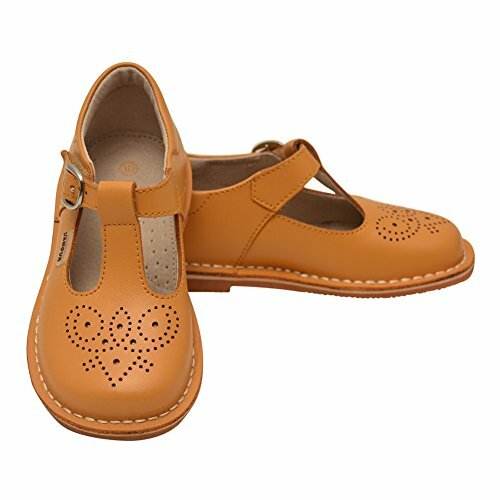 The perforated medallion in front makes this mustard colored shoe so pretty for your little sweetie. Stitch down construction and hook and loop buckle strap for incredible comfort. The shoe features leather upper, lining and in sock and rubber sole. Insole measurement: size 5: 5.25, size 6: 5.5, size 7: 5.75, size 8: 6, size 9: 6.25, size 10: 6.5. These L'Amour classic matte leather Mary Jane shoes are suitable for casual or formal wear. She can team these lovely shoes with her favorite outfits. The white shoe has leather upper and lining, stitch trim detail and Velcro buckle closure. The flexible rubber sole ensures comfort. These L'Amour Mary Jane shoes are perfect for daily wear. The brown shoe has leather upper and lining and features a side double bow on the front. The tonal rubber sole and Velcro ankle strap ensures a comfy fit. Copyright © Wholesalion.com 2019 - The Best Prices On Lamour Girls Mary Janes Online.